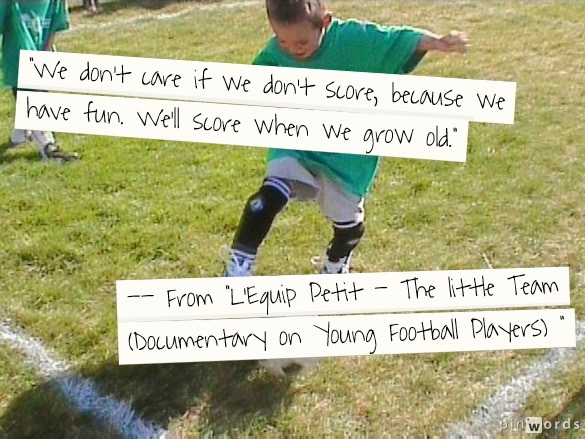 L’Equip Petit – The little Team (Documentary on Young Football Players) is a wonderful nine minute documentary about a youth soccer team that’s clear on their priorities. By the way, while I’m at it, I’m adding Promoting Equity Through Teaching For A Growth Mindset to that list, too. Thanks to The Talent Code for the tip.